I was inspired to create this card after I saw a card with a similar cut through the front panel, the other card was more swoopy and gentle, but I wanted something harsh and fierce looking (the other card didn’t use googly eyes either)! Like the other card I saw, whose lines were more or less perpendicular, I wanted the same effect. 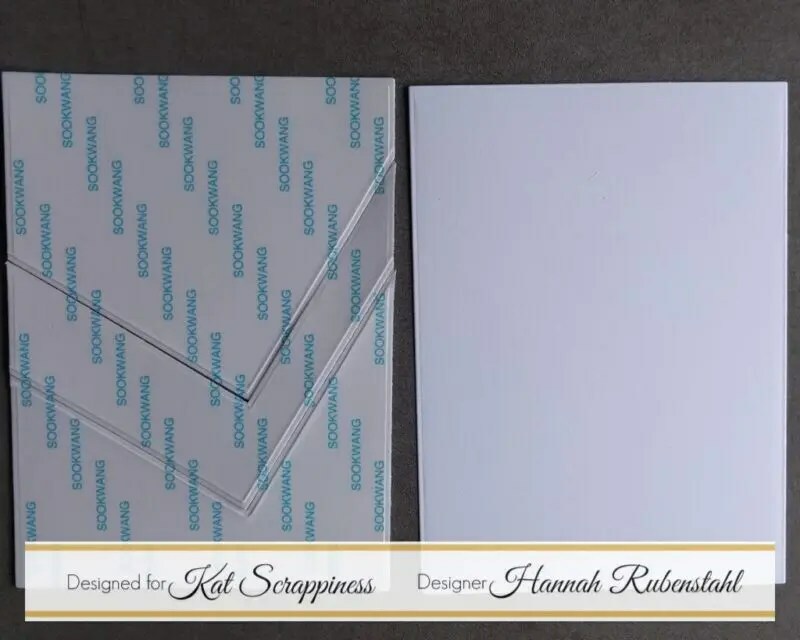 These perpendicular lines, along with a sharp 90-degree angle, were quite easy to create with the usage of Kat’s Never Ending Rectangular Dies. To start I adhered a sheet of Scor-Tape to a piece of Neenah Solar White in 80lbs. I then cut these out, to create a rectangle, with one of the rectangles from the Never Ending Rectangular Die set, I also cut another sheet of cardstock using the same rectangular die. 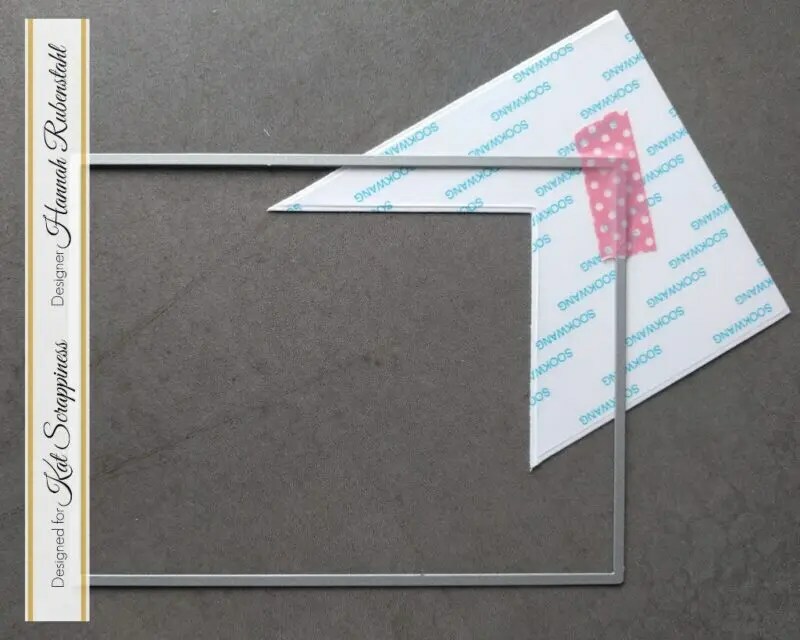 Then I cut two corners of a rectangle at perpendicular lines using two larger dies from the Never Ending Rectangular Dies. I was left with 3 separate pieces of cardstock/Scor-Tape. For the top and bottom panels of the Scor-Taped piece, I covered them with Nuvo Scarlet Red Glitter. I made sure that I worked on scratch paper, and I had turned off my ceiling fan. I then put another sheet of scratch paper on top of the glitter and pressed it into the Scor-Tape. Using a pair of tweezers I removed the two pieces, shook the glitter off, and then returned the excess glitter to the container. The use of Scor-Tape kept pretty much all of the glitter in place and prevented glitter from flying about my craft room! It was the most mess-free experience I’d ever had with glitter! For the middle section, I applied googly eyes, of a variety of sizes, over it. The remaining Scor-Tape that was still visible I covered with Nuvo Charcol Glitter, using a similar technique to the red portions. At this point, I also colored the other sheet of cardstock that I had cut out. I wasn’t 100% sure all of the areas wouldn’t be seen as I layered the glitter and eyes on it, therefore I colored it using Black Soot Distress Oxide. 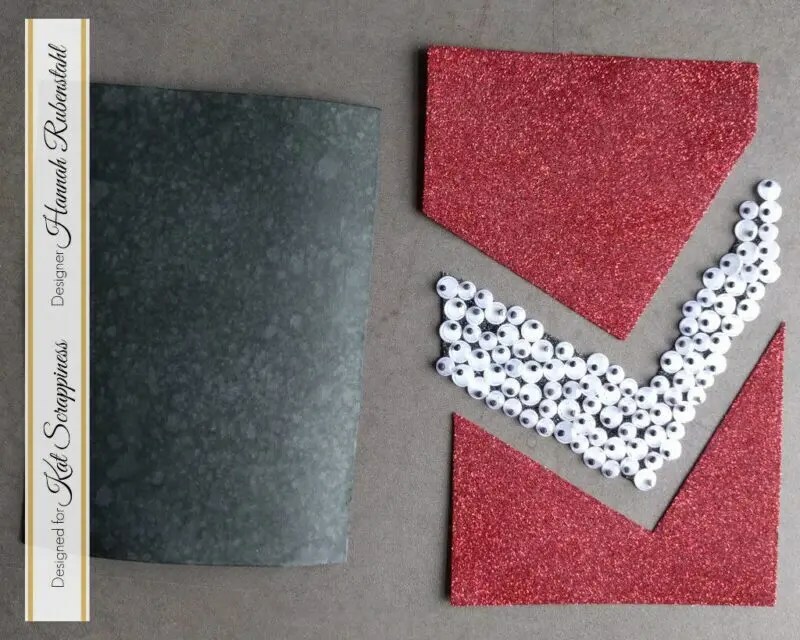 Carefully I traced the glitter pieces onto a sheet of scratch paper and used that to make a pattern in order to cut out 2 layers of black fun foam slightly smaller than the glitter pieces. I adhered the fun foam together using Ranger Multi-Medium Matte. When they were dry I used 1/4″ Scor-Tape to stick my glitter pieces onto the fun foam. Next, I used VersaMark Ink to adhere WOW! 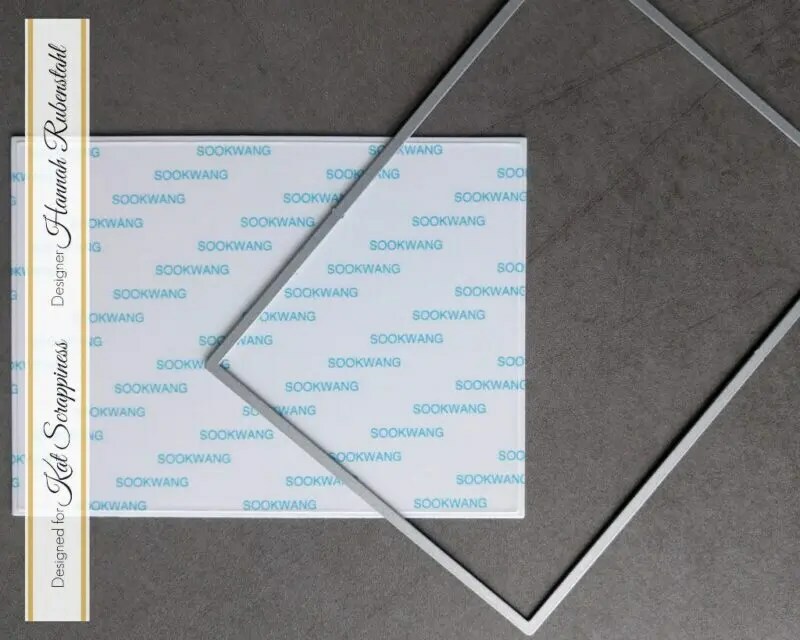 Clear Gloss Embossing Powder to the edges of a sheet of cardstock that was cut to an A2 size (4.25″ x 5.5″). I only needed to emboss about half an inch around the edges. Carefully, I lined up the glitter and eye sections. Once they were in their correct positioning I applied Ranger Multi-Medium Matte to the fun foam of the top section. I let that sit and dry for a bit, keeping it in its correct position was key to line up the eyes and the bottom section when I went to glue them down. 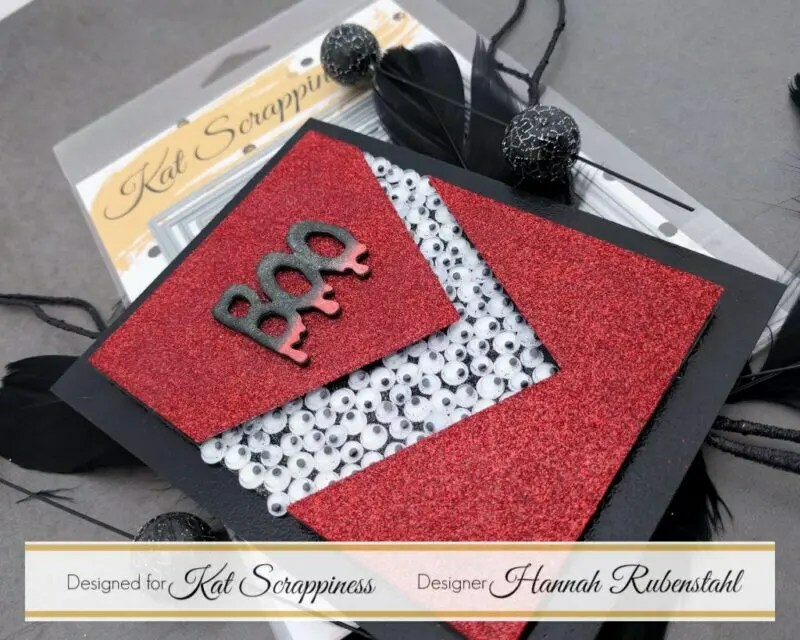 Kat used to sell die set by a Cheery Lynn Designs, it had this fabulous “Boo” sentiment. She, unfortunately, doesn’t carry it but she DOES have this “Boo” sentiment by Tonic Studios which would work perfectly! I cut my sentiment out of white cardstock and out of black fun foam. Using Distress Inks I colored the sentiment and then doused it with my Wink of Stella pen. When the sentiment was dry I adhered it to the fun foam with Ranger Multi-Medium Matte and then to the glitter panel. This was all adhered to my card base using a tape runner, and Viola, one of my favorite cards ever was created! A Little Creepy & A Little Cute….Happy Halloween!